) on the Changing Nature of the Agency Model, Lollback said there isn’t a perfect model for media agencies as the success of the work relies heavily on a number of factors. “Unless you control the whole ecosystem, it’s very hard to control who is responsible for what,” he said. Lollback, who has been at the helm of GroupM for three years and spent most of his career client side at Unilever and McDonald’s, isn’t confident the industry can solve the current commercial model crisis between client and agency due to the increased role of procurement in pitches. “The responsibility has moved from marketing to procurement and procurement’s role is to just save money. It’s not focused on quality of outcomes,” he said. While procurement is screwing down agencies on price, with Daylight CEO Chris Gray saying they are “making life hell for agencies”, Lollback said the way to fight back is to educate clients on sustainable commercial standards for agencies. “We need to make sure clients are aware of situations where an arrangement isn’t sustainable. It’s unfair for clients or procurements to push commercial to the point where we can’t even cover salaries on the account," he said. There may be fewer cases of agencies accepting unprofitable commercials to get a business name on their PowerPoint slides, however it still happens within the industry. Lollback said GroupM is strictly into winning business, not buying business, and clients that accept a below average market margin will get what they pay for. “If you buy business, it takes one structural change and your whole model falls over, which is why you see at different times some media agencies imploding,” he said. There are countless agencies that were promised the world, but the world never came, Lollback explained. This interview forms part of our February content series on the 'Changing Nature of the Agency Model' that will explore remuneration, global pitches and different agency models. 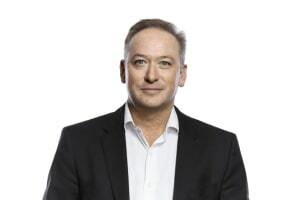 Media agencies can shift to a value-based model or put skin in the game, but the dream of a perfect agency model may never be a reality, said GroupM CEO Mark Lollback. 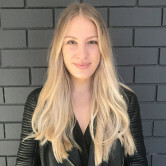 Speaking to AdNews as part of our February issue (get it here) on the Changing Nature of the Agency Model, Lollback said there isn’t a perfect model for media agencies as the success of the work relies heavily on a number of factors.